Seared scallops are super easy and quick to make and amazingly delicious! 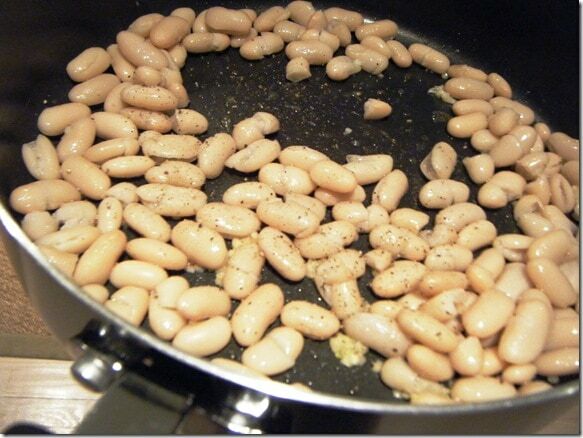 1) In a pan, saute together the cannellini beans, one clove minced garlic, and a drizzle of olive oil on medium high heat. 2) Once the beans are soft (a couple minutes), mash them, adding more olive oil if necessary. Once beans are mashed, remove them from the pan. You can also puree the beans in a food processor for a creamier texture. 3) Add another drizzle of olive oil and another clove of minced garlic to the pan along with a huge handful of fresh spinach. Saute until wilted and remove from the pan. 4) Add ANOTHER heavy handed drizzle of olive oil to the pan. Turn the heat to high and wait until the olive oil starts to smoke slightly. 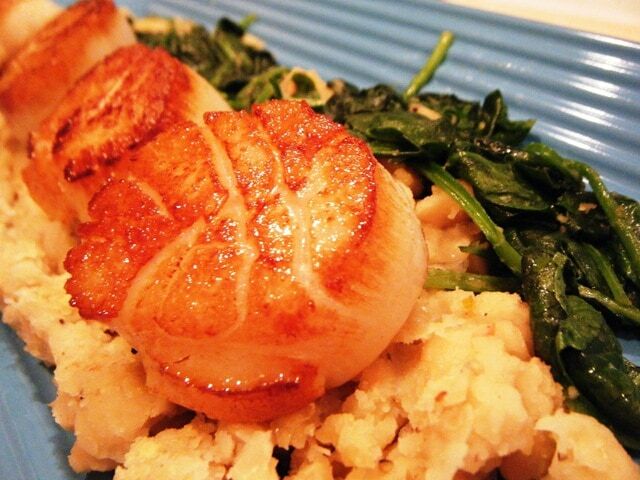 5) Place the scallops (rinsed and lightly salted with sea salt) one by one into the pan (be careful — the oil might spit). Do not touch or move them. 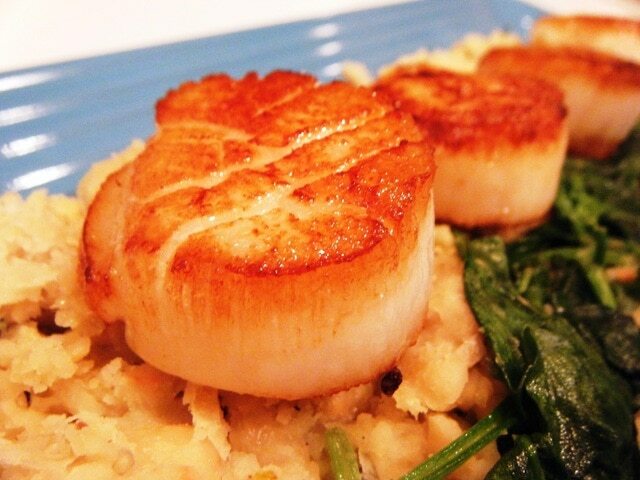 After 2 minutes, flip the scallops to the other side. Cook for another minute and they are ready! There should be a nice crust on them. Looks delicious!! Will def try this one. This looks like a gourmet restaurant creation. Beautiful! 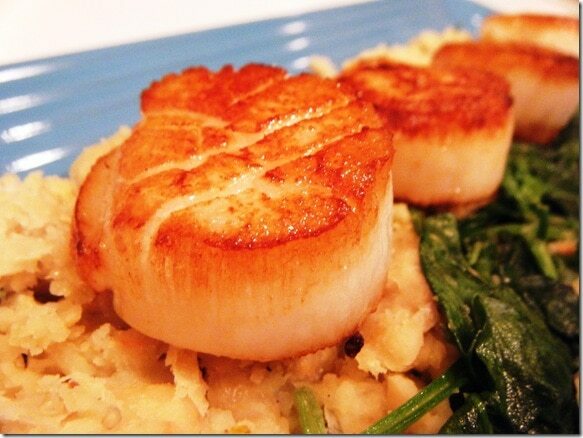 I am salivating – sauteed scallops are my favorite main dish! Hilary and I had them tonight — delicious! I added more garlic because you can never have too much garlic!